As questions swirl over who knew what, when before, during and after the historic Trump-Xi dinner, we previously learned that National Security Advisor John Bolton revealed that he knew in advance that Canadian police were preparing to arrest Huawei CFO Wanzhou Meng, meaning that Bolton knew that Meng was being taken into custody when he sat down alongside President Trump for Saturday's dinner trade talks with Chinese President Xi Jinping. The timing is important of course, because if the US knew in ahead of the dinner of an imminent "material adverse event" that could spoil the trade ceasefire, it would be seen as very politically embarrassing to Xi, and as Deutsche Bank explained earlier, would be considered a major escalation. Now, according to Reuters, and rather inexplicably, even as Bolton knew about Meng's imminent arrest, President Donald Trump was reportedly unaware the U.S. had requested Meng’s extradition from Canada before he joined Chinese President Xi Jinping for dinner on Saturday, a White House official said. The news, which emerged shortly before the close, was seen by traders as bullish - facilitating the dramatic surge in the last hour of trading - as it would imply that the U.S. administration wasn't intending to use the arrest of Huawei CFO as part of a "hostage" negotiation strategy in trade talks with China. “We are a country of an independent judiciary and the appropriate authorities took the decisions in this case without any political involvement or interference,” he told reporters during a press conference in Montreal. “We were advised by them with a few days’ notice that this was in the works." So Trudeau knew a few days in advance, yet Trump somehow had no idea what was going on? Indeed, it is rather impossible to believe that the leader of Canada knew of such a major operation, while the US president did not. Separately, CNN reports - so take it with a ton of salt - and implicitly denies what the White House said this afternoon, that US official see Meng as possible leverage in trade talks. She would be literally a "hostage" to the Trump administration, to ensure that the US gets what it wants out of the ongoing discussion. While plausible, it would be difficult to get confirmation of this scenario as it would be immediately damaging to market sentiment and send stocks - so very precious to Donald Trump - sharply lower again. Indeed, in a tweet after the close, Marco Rubio said that the arrest of the Huawei CFO "has nothing to do with a trade war with #China" and instead is an "action by federal prosecutors for alleged violations of law,not leverage in a trade dispute. And unlike China,she will have the presumption of innocence until proven otherwise." 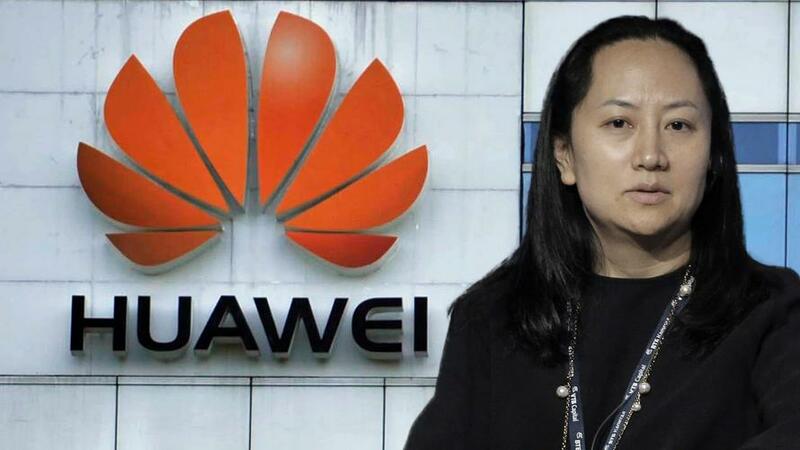 Finally, the last missing piece we also learned today is that Meng’s arrest is part of an ongoing investigation by U.S. prosecutors into whether Huawei violated banking laws as it sought to evade sanctions against Iran by routing a series of transactions through the world's money laundering bank of choice: HSBC Holdings. A federally appointed monitor of HSBC flagged the transactions involving Huawei as suspicious to U.S. prosecutors, the Wall Street Journal reported on Thursday. HSBC was among several banks that have done business with Huawei and isn’t a target of the probe, the newspaper said. And while despite these various affirmation and denials, there still remains speculation what Trump knew and when; the answer will almost certainly be forthcoming in the next 24 hours, and from Trump's own Twitter feed: after all the president will hardly be able to restrain himself too long from commenting on this ongoing diplomatic scandal.